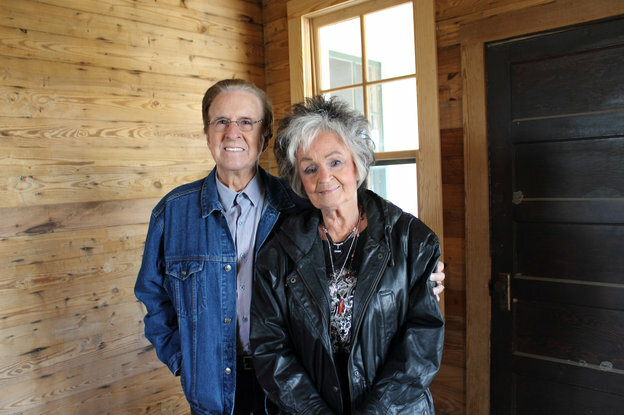 This National Public Radio story provides an overview of the origins of Dyess and the Cash home, while presenting the viewpoints of Johnny Cash’s brother, Tommy Cash, and sister, Joanne Cash Yates. The Mayor of Dyess, Larry Sims, who grew up in Dyess just down the street from the Cash house, is also interviewed. To listen to the story or read the transcript, click here. The Johnny Cash Boyhood Home Steering Committee recently met to assess the progress of the project. Prior to the meeting the Committee members toured the Administration Building and the Johnny Cash Boyhood Home. The restoration is projected to increase tourism in Mississippi County, and Dyess has made significant progress toward preparing for the increased number of tourists. For the complete news article, please click here. Arkansas State University has received a challenge grant of $500,000 from the National Endowment for the Humanities for reconstruction and restoration of some of the buildings in the Historic Dyess Colony. Dr. Ruth Hawkins, director of Arkansas Heritage Sites, says, “The NEH grant gives us tremendous momentum for developing the Historic Dyess Colony as a major heritage site for the state and the region.” The details of the Historic Dyess Colony project and the NEH grant are discussed in the A-State news article, ASU Receives National Endowment for the Humanities Challenge Grant for Historic Dyess Colony Reconstruction. For the original article, please click here.